Two of the most iconic superheroes in the DC universe, for the first time in cinematic history, go up against each other in this highly anticipated film. Words cannot describe how many fans (including me) were waiting for this to happen and amaze eyes across the globe. Now, it's out in theaters. You know how sometimes you see a great item online, then you actually visit it in person and it's sort of disappointing? Well, that's Batman vs. Superman: Dawn of Justice for you. The title of this movie explains it all. The one and only Batman (Ben Affleck), is suspicious of the one and only Superman (Henry Cavill). After the destruction from Man of Steel (2013), Bruce Wayne doesn't trust Superman, and wants to take him down. Superman, on the other hand, just wants to be viewed as a good person, instead of a worldwide threat. However, when the villainous Lex Luthor (Jesse Eisenberg) comes into play, Batman and Superman realize this planet needs justice. And together, along with newcomer Wonder Woman (Gal Gadot), they'll stop whatever is thrown their way. First off, let's address the characters. Everyone knows Batman. He's the world's greatest detective, with fighting skills that can't be matched. He's dark, guarded, but a genius as well. Ben Affleck plays all of those personalities well, and is very believable as the Dark Knight. Henry Cavill returns to the Superman role and plays an adequate Superman, as he's nothing great or terrible. Although, if you want to see terrible, look no further than Lex Luthor. Completely different from his comic book and other adaptations, he's quirky, bizarre, and was basically a carbon copy of Bugs Bunny. Wonder Woman was refreshing to see, though don't expect her to be in the movie a lot. Acting wise, everyone did their jobs decently. Some better than others, but overall fine. Story-wise, well, it's not great. In fact, it's not even good half the time. Dawn of Justice started out nicely, but as it went on, it started to flop around like Aqua-man without his water. Some scenes were well done, others made you think, "What the heck did they do that for?" It's a long movie, so they needed to fit a lot of topics in one flick. It didn't feel bloated, but some things could have been adjusted... for instance, the atrocious last half hour of the whole movie. Action wise, it was incredible. The choreography for the fight scenes were clear and sharp. Visually, this movie was just great to look at. Still, Dawn of Justice is filled with dull moments and honestly, you won't remember much besides the great fight scenes. 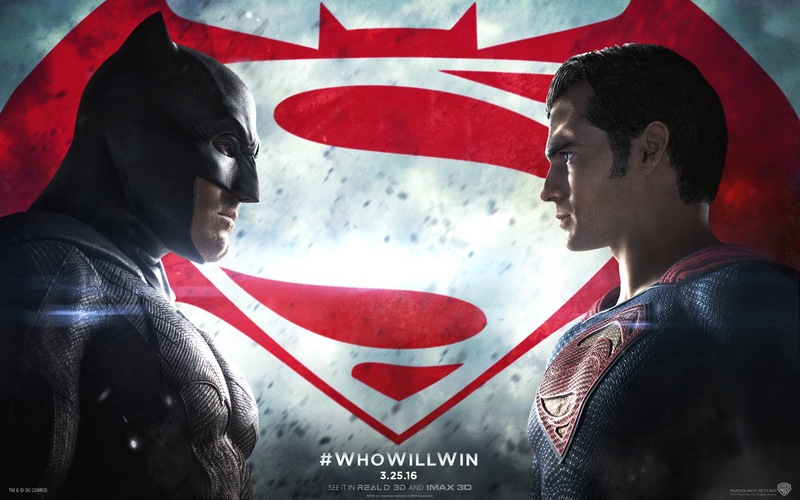 Overall, Batman vs Superman needed to be a lot better than it was. This was supposed to be the movie of the year critically and financially. Now, it only appears this movie will make its money without the respect. This is by no means, a bad movie. It has its solid moments, and is worth seeing. Still, lowering your expectations is your best bet. Hopefully DC can learn as it releases it's future movies, because there's no more room for "okay" material.